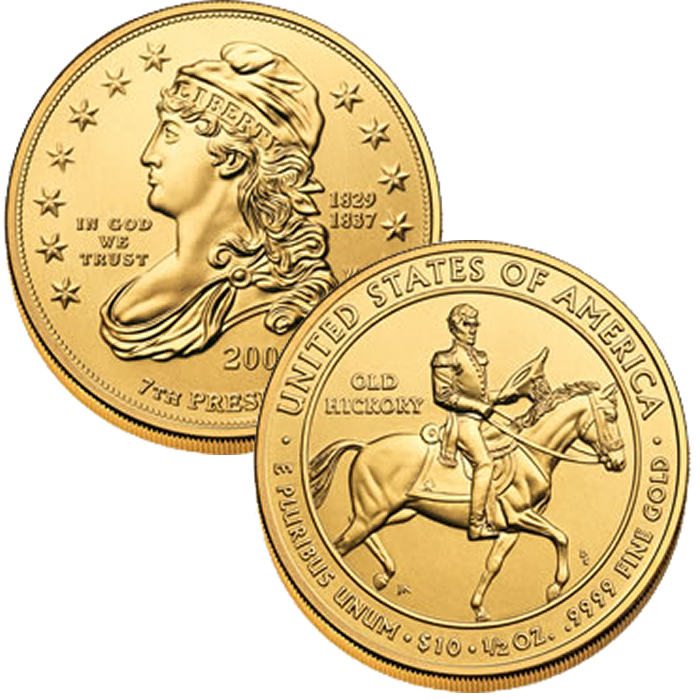 Struck to honor the spouses of the former Presidents of the United States, the 2008-W $10 Jackson’s Liberty First Spouse Gold Uncirculated Coin marks the seventh coin in the series. This unique coin is also the third release of the program to appear in 2008. However, making the coin slighltly more unique is the fact that actually a spouse is not honored on the coin. This is because Andrew Jackson was not married during his time in office. As such, an image of the mythical figure of Liberty is used instead on the obverse (heads side) of the coin. The reverse (tails side) which typically shows a scene from the life of the spouse instead shows an image in the life of the President themselves. Coins are typically released at a rate of four per year in conjunction with the release of the circulating Presidential $1 Coins. However, if the President had more than one spouse while in office, both spouses will be honored on separate coins meaning more than four could be struck in a year. The US Mint released the Jackson’s Liberty coins on August 28, 2008. 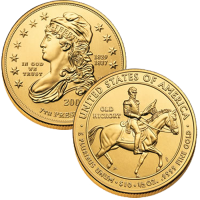 Initial price on the Jackson’s Liberty Uncirculated Coin was $599.95. The image of Liberty found on the obverse (heads side) of the coin was first seen on the Capped Bust Lettered Edge Half Dollar produced between 1807 and 1836 and designed by John Reich. Designed by Justin Kunz and sculpted by Don Everhart, the reverse (tails side) shows Andrew Jackson (nicknamed Old Hickory) in full uniform sitting atop his horse.